The Bass Rock is a rocky islet located in the Firth of Forth, north of North Berwick. Access is by boat, and boat trips can be arranged in North Berwick. 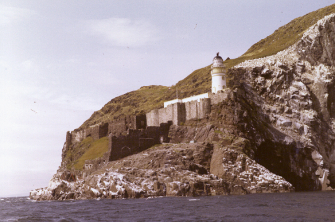 The castle on the Bass Rock was used as a prison during the time of the Covenant. The rock was sold to the government in 1671 by Sir Andrew Ramsay, Provost of Edinburgh, for £4,000. It was then converted into a state prison for Covenanters. Between 1672 and 1687, 39 Covenanters were imprisoned here.